Rosé wines, which had long been considered a lesser version of red wines, have started to be considered a wine of merit after many years of being sidelined. Among other things people have finally come to understand that rosés are not meant to be regarded in the same way as reds. In other countries, such as France, the Netherlands, and the US they've been appreciated for some time, but in the Spanish market, it's only the last five years wherein they've begun to be well-regarded. Rosés are usually seasonal wines to enjoy when good weather arrives. They're fresh and light, to enjoy with an appetizer or tapas on a terrace, or with a paella by the sea. They're a good alternative to red wines during the summer. They don't have high alcohol, are lighter on the palate, and are a great option for those just getting introduced to the world of wine as well their being more economic in price. But make no mistake. In saying that rosés are easier to drink or less expensive is not to say that they're of inferior quality. It's simply that they cannot be put in the same basket as red wines, with which they are normally equated. Each is to be had for a different moment and to accompany different meals. 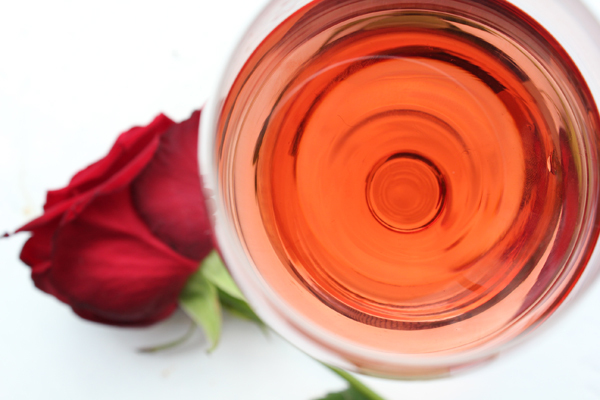 The most notable difference between red and rosé wines is the color. In both wines there is a period of maceration with the grape skins and must. The main difference though is the amount of time for these macerations which is just a few hours with rosés and many days for reds and explains the light, rosey color in contrast to the more pronounced red. The skins don't only provide color but also tannins and aromas, hence the resulting red wines are more astringent and rosés much lighter. Currently there are two clear styles in the world of rosés. On the one hand there are the pale pink and salmon-colored rosés that exemplify Provence, France, and then there are the pronounced red-pink rosés that are typical of Navarra, Spain or Tavel, France. In our cellar you can find one of each style. Coralí is salmon in color, a touch wild, and with notes of mature peach. Then there's the Lledoner in which the presence of currants and strawberries is not only visually noted but aromatically as well. Delve unabashedly into the exciting world of rosés and be surprised!